Except from acting I also provide teachings in form of drama and acting workshops with the essence of personal development. I teach children, youngsters and adults. Both for public and schools that I visit. More information in swedish and up-coming workshops at www.hellocreative.se. So I started to dream about writing a play for children. In winter of 2013, I got a scholarship and went to Mallorca for a writing course for Anita Goldman - what a blessing! I really infused everything. I had interviewed children in the age of 6 to 13 and I have asked them about inner gifts and strenght, what children can learn adults, what they are grateful of, about love, and what make their hearts warm. The play is named "Warmhearted". That was a starting point in my writing, it went on pause during the spring but during last summer I wrote again. The play starts out with a storyteller voice that talks about this girl, who is finally outside a cave and inside is the most magnificent of treasury, full of color and grace. There is her imaginative power and holds her safe when she thinks about the big issues about life. What is love? What makes her happy? Why has grown-ups forgot their imagination and how can everybody make a better world? Beautiful quotes from the interviews and my storytelling words will bring the audince to be a little more present. To make the children feel like that they can believe in themselves and can bring whatever they want - to this world. What makes your heart warm? I have always loved everything about movies. Since I was a kid, I have been a very Visual person. All day long I walk around with films and stories in my head. Imagination has no boundaries. It´s a great feeling when you get things from your head into manifesting. If You want a Change - Be the Change! During autumn 2015 I went for a 10 weeks course at Malmö Theatre Academy. The course was about film making, infront and behind the camera. 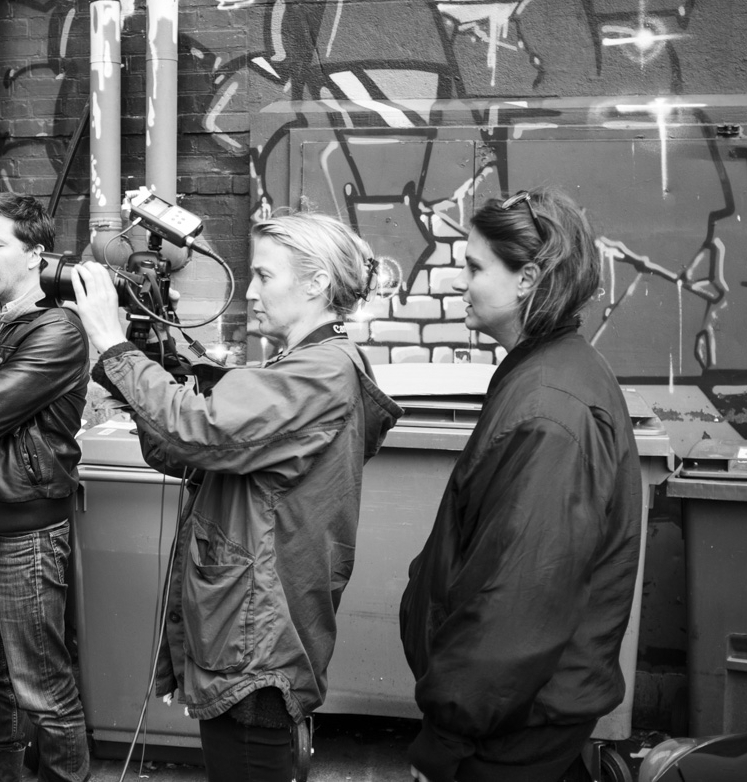 We had different kind of masterclasses with Goran Kapetanovic, Jenifer Malmqvist, Lukas Modysson, among others. The grande finale was to make a shortfilm. During 6 hours we shooted the script I had written and then I edited it. A beginners work of art and great fun! The essence of Life - Learning by Doing... Enjoy! "I would love You to direct my first musicvideo! ", Linnéa said and I thought: "Well, why not!". We had been acting-buddies during Acting School, years before and I just loved that she had now started to listen to her joy of making music. During one day we shooted this beautiful storyline at the Swedish West Coast, in co-creation with talented photographer Peter Ljungren. Listen and enjoy to her tender voice as "Flora Lee". With a mind full of great ideas, it is time to let them expand. I have a great screenplay in my head. A beautiful feature film idea that will involve several directors who are women. 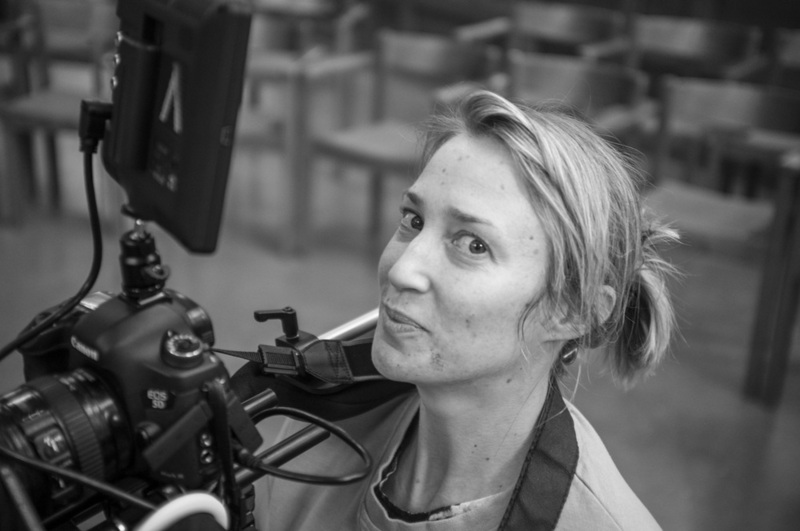 I want to let talented female directors to be seen and let their stories be shown to the public. I am now searching for a producer and I have just started to write the script and it all will be in chapters. In the best of worlds it will be at the "red carpet" preimere in winter 2017. The world is changing and so are the women - it is time to be a part of that!